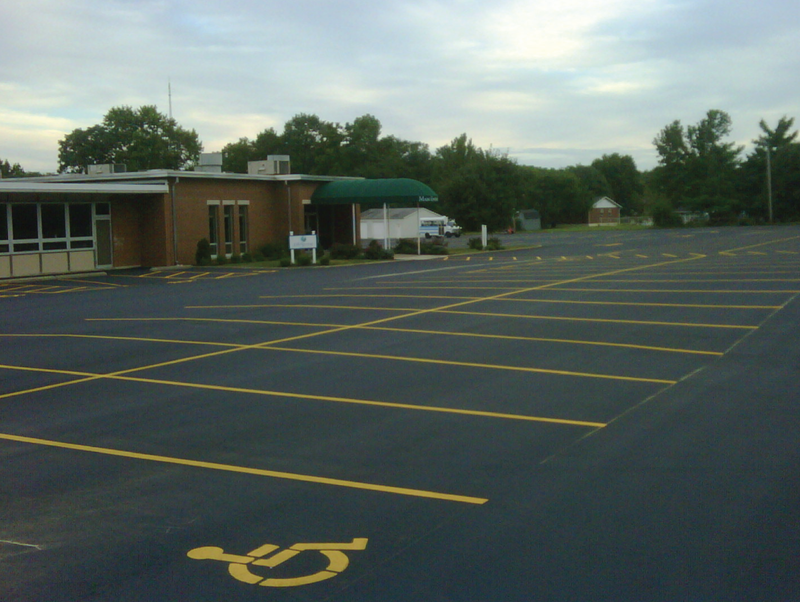 Hartz Sealcoating - Asphalt Parking Lot Sealcoating and Driveway Sealing Cincinnati. Whether you are looking to repair areas of deteriorating asphalt on your driveway or patch sections and fill potholes on your parking lot blacktop, we can take care of it all! We can help you buy critical time out of your pavement and fortify it before winter. Give us a call for a free estimate! Our coal tar sealer from Brewer Cote beats asphalt emulsion sealer like a drum. We have tried both types of sealer and have seen the results. 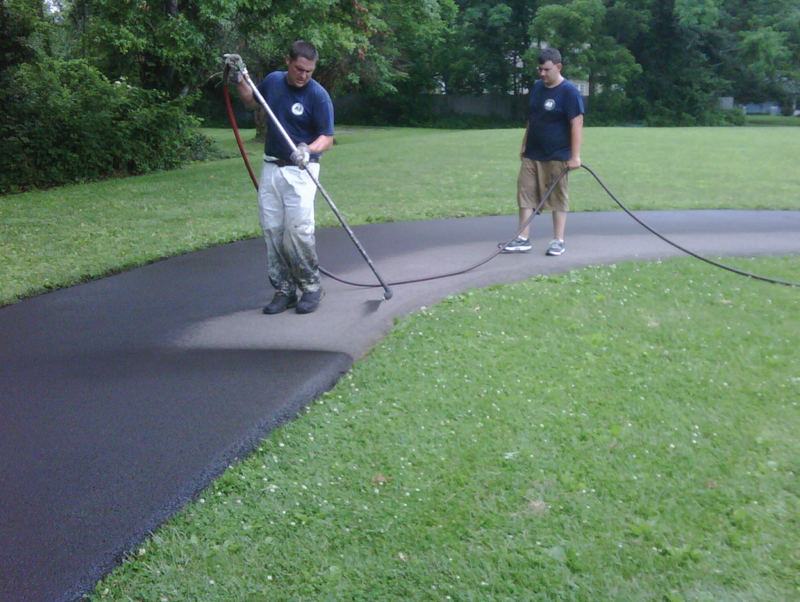 We mix our sealer for high traffic areas so that it lasts longer. (Why Coal Tar? click here). Our free asphalt consultation will save you thousands. We tailor a cost-effective maintenance program (patching, cleaning, cracksealing, sealcoating, and re-striping) that is just right for your asphalt. Preventative maintenance will delay further deterioration and postpone more costly repairs. When we are finished…beautifying and invigorating your property, it will reflect the care and quality that you want to represent. Our attention to detail reflects in the quality of every job we do. Our home office is in Camp Dennison and we work mainly on the North and East sides of Cincinnati for residential driveways. Our main areas include: Amberley, Anderson, Blue Ash, Deer Park, Hyde Park, Indian Hill, Kenwood, Loveland, Madeira, Mariemont, Milford, Montgomery, Mt. Lookout, Newtown, Norwood, Silverton, Sycamore Township, Symmes Township and Terrace Park. 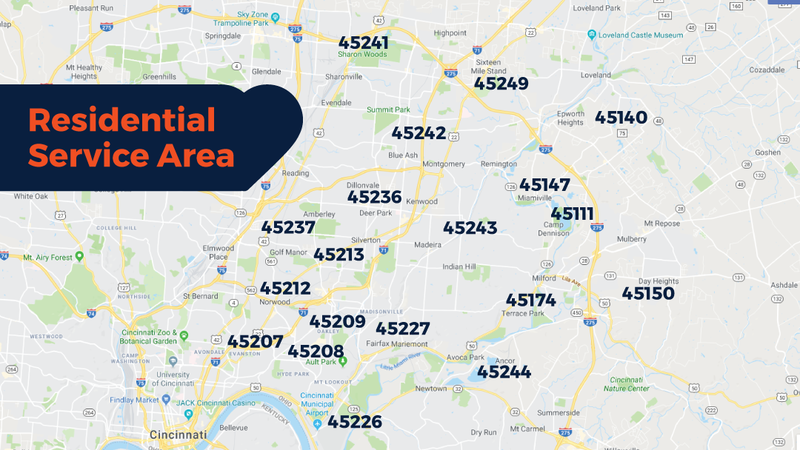 For commercial clients, the area is much larger and includes: Evendale, Fairfield, Glendale, Mason, Reading, Sharonville, Tri-County, Tylersville, Union Township, West Chester, Wyoming and more. Please call to ask about your area of town! Thanks to those of you who have chosen us since 2010, we have been able to make yearly donations to local organizations that are doing amazing things in Cincinnati. We care about the community we live in and its people, not just the dollars we make there. 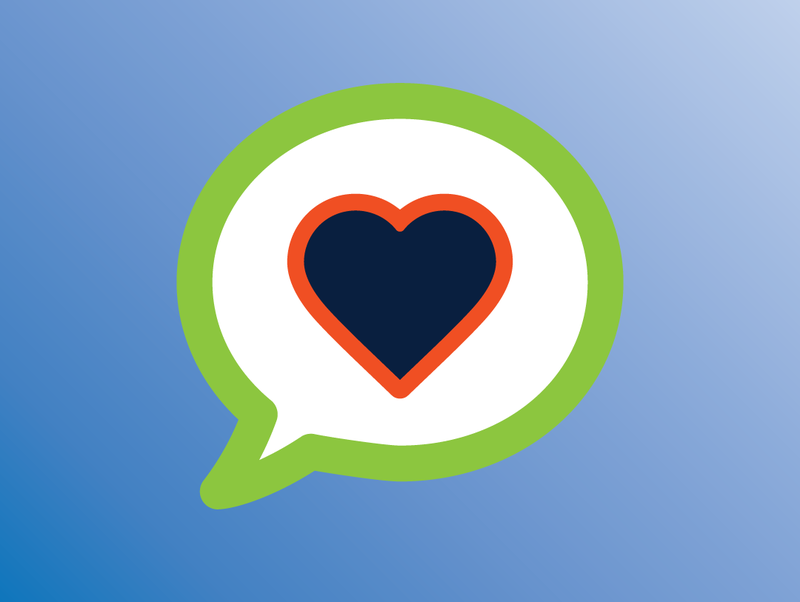 If you have a suggestion of a worthy cause in your neighborhood or the Cincinnati area, please don’t hesitate to send us an email and tell us about it. Thank you!